Brynn Cartelli is an emerging artist in today’s music scene. Throughout season 14, Brynn Cartelli worked with mentor Kelly Clarkson as a singer on her team. 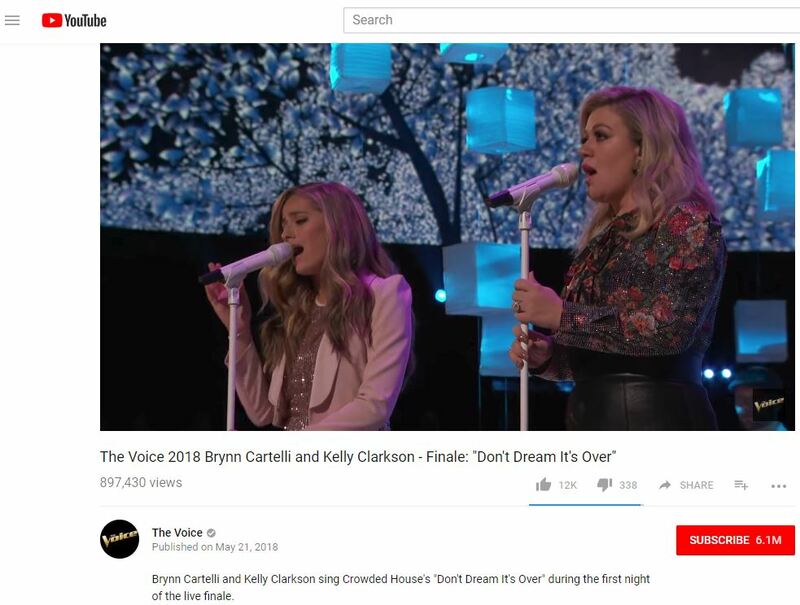 Cartelli sang “Don’t Dream It’s Over” with Clarkson during the live finale. Now, this performance has over 897,000 YouTube views. She also collaborated with Julia Michaels. Read more here. On June 8, Kelly Clarkson and Brynn Cartelli are scheduled to perform on The Today Show. This performance will air live on NBC from 7:30am to 10:00am EDT, or 4:30am to 7:00am PST (pacific time). Click here for more information.